Showing results by author "Andrei Perumal"
Growth is rarely in a straight line. It is tempting to think otherwise, particularly when looking in the rear view mirror, but anyone faced with plotting the coordinates for a company's growth knows the fallacy of this notion. As much as we like to think of corporate leaders executing sure-fire growth strategies, the truth is far messier: it's more an act of exploration than a step-by-step process. 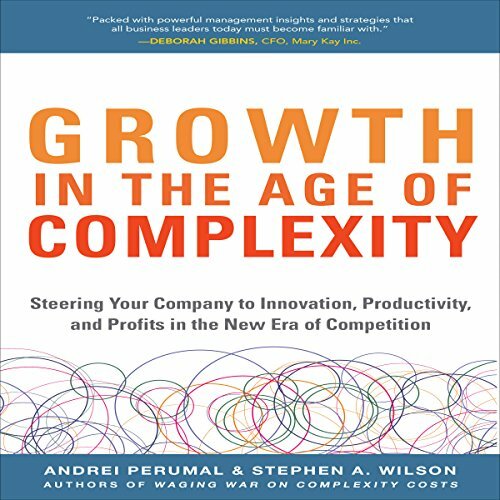 In Growth in the Age of Complexity, the authors describe how complexity has impacted businesses and the markets in which they compete, and the strategies to grow profitably!